In our March edition of our Preemie Family newsletter we learned about Samuel Shine, who was born at 26 4/7 weeks, weighed in at 1 lbs 2 oz. 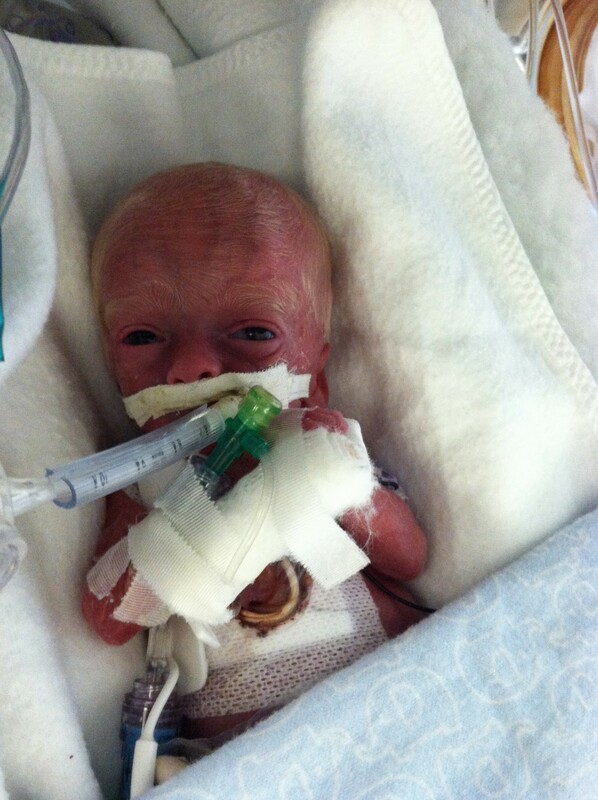 and was in the NICU for 101 days before going home. Read more in an update by his mother, Stephanie, below. 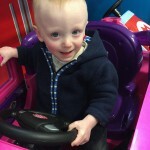 Sam was born 14 weeks early weighing only 1 pound 2 ounces. He had a difficult course which included 7 weeks on the Jet ventilator, bowel perforation and ileostomy, resuscitation, and severe ROP with laser surgery. Today he is 20 months old and weighs 16 pounds 11 ounces. He is an absolute joy and is incredibly easygoing. And he has a very doting brother named Charlie who keeps him on his toes. Our struggles have been mainly related to growth. 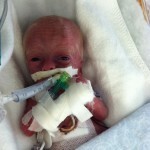 Sam got a G-tube placed in December so that he could get supplemental feedings overnight to help with weight gain. Sam is crawling and has about 4 words. He can stand independently so we are hoping his first steps are in the near future. 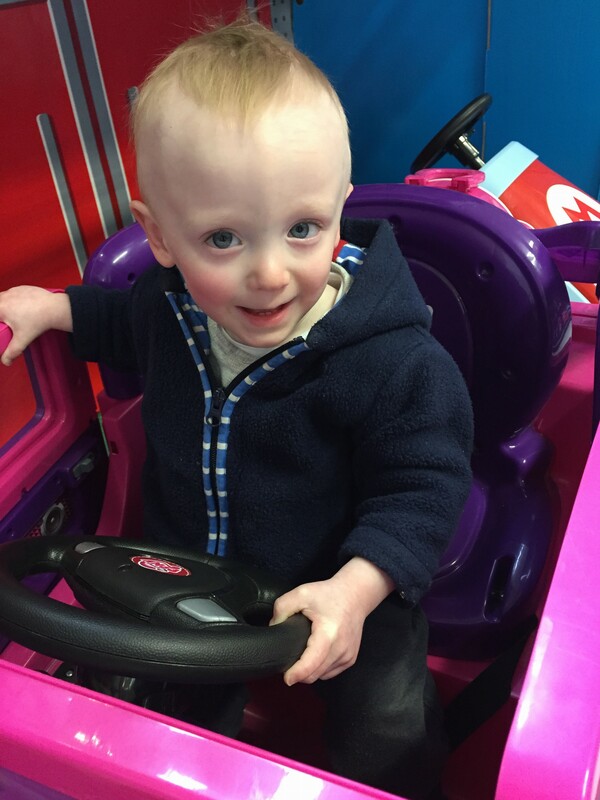 Sam is an incredible little boy and we admire him for his strength and resilience every day.